Weddings are one of the beautiful occasions where we gather and celebrate the union of two people in love. They are planned for several months to even years just to make every detail perfect with brides being usually in charge of most of the planning. From their wedding dress, makeup, entourage, food, reception to decoration, etc., brides mostly have the final say. However, only a few brides actually take full attention on their bridal car as it is one of the least detail that they would prioritize on or before their big day. But let’s admit it, having a unique bridal car could not just steal the show but also make one’s wedding more memorable. You might have seen various bridal cars from different weddings. Some use sports car or vintage car while others use a horse-drawn carriage, making their wedding seem like a real-life fairytale. 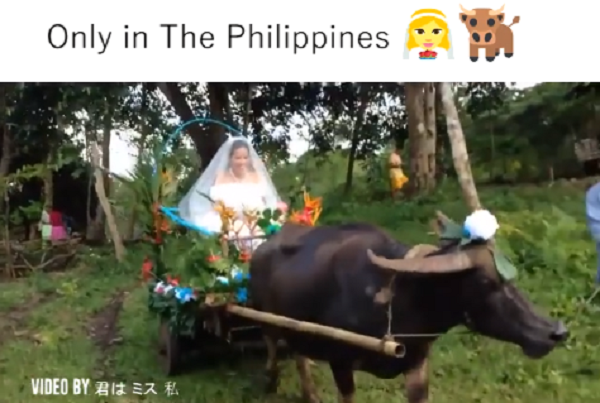 But one video which certainly stole the light and went viral on social media showed a bride riding a one-of-a-kind bridal carriage which was drawn by a carabao! While carabaos are a common sight in the Philippines especially in rural places, we do not really give them that much thought. We often see them plowing the fields or carrying sleds to deliver produce off to the nearest market. They are perpetually tagged as a farmer’s best friend for working just as hard under the heat of the sun. But a viral video from Tee Radio showed us otherwise where carabaos were proven to be used not just for agricultural purposes or beasts of labor in the farm, but also as a unique vehicle during big occasions. 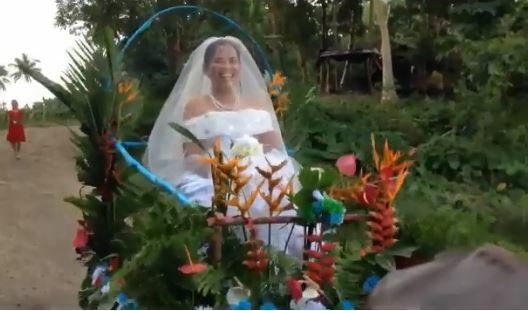 The viral video showed the bride in her own version of a bridal car on her way to her wedding. The carabao-drawn carriage came completely adorned with ornaments and flowers, making every bit of it picture-worthy. The bride could be seen laughing, clearly enjoying the moment of her last ride around town as a single lady. However, netizens’ reactions were divided. 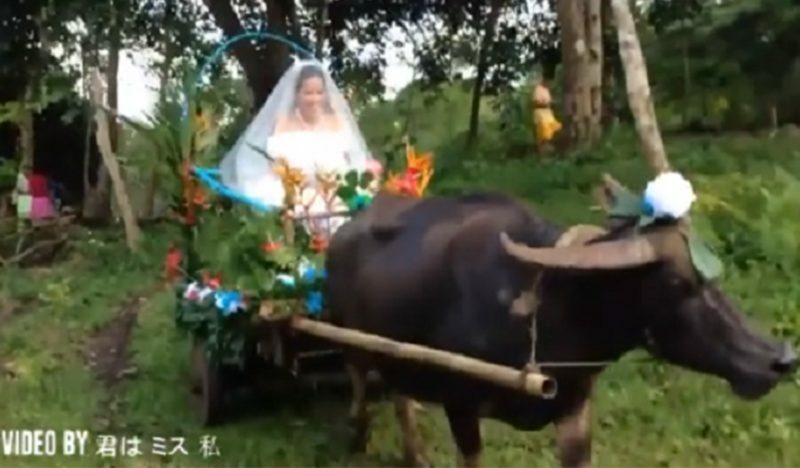 While some were amazed and congratulated the bride for managing to come up with such an extraordinary idea, many were also quick to judge how the carabao-drawn carriage looked cheap and made the bride appear pitiful for riding on it.